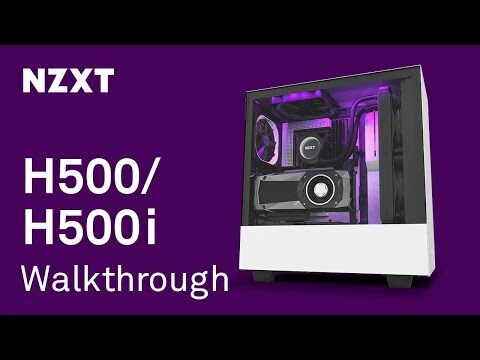 NZXT H500, Black, Mid Tower Computer Chassis, Tempered Glass Window, ATX/MicroATX/Mini-ITX, 2x 120mm Aer Fans is rated 5.0 out of 5 by 2. Rated 5 out of 5 by Angelina from So Sleek Love it, particularly the glass panelling so I can see my baby from outside the case. Very sleek design and love how smooth the whole thing is, would recommend and very good value. Easy to fit everything inside aswell. Rated 5 out of 5 by Cram808 from This is an excellent budget case Firstly, it looks like it should cost twice the price; the lines are so clean. With this case you get the usual extras you'd expect from a higher end case; extra screws, stand-offs and cable ties. You even get an adapter for the stand-offs, which enables you to loosen and tighten them using your screwdriver; handy. I fitted a AIO CPU water cooler (Corsair H105) to front; there was plenty of room. It does lack some of the modular features that make system building easier, that you do get with higher end cases. Having said that the only issue I experienced was with the PSU; connecting additional power connectors to a modular PSU after the PSU is fitted is difficult (but not impossible). My advice, if you have a modular PSU, connect the cables before you fit the PSU. There is a good amount of clearance behind the motherboard tray to hide cables. I also have Corsair Commander PRO and Corsair RGB Fan LED Hub mounted behind the tray; all very tidy. My only criticism (hence 4 stars for quality), is that one of the stand-offs on my case was cross threaded and not straight. This isn't the case designs fault, but a manufacturing fault that got past NZXT's QC department. 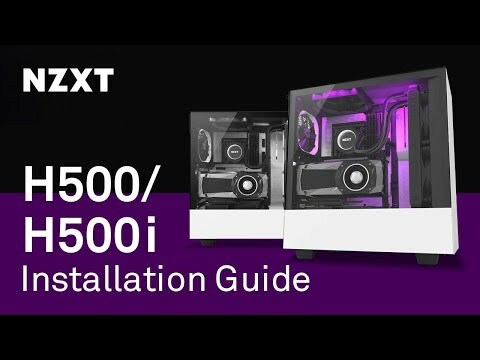 Chances are you'll be able to give your NZXT H500 5/5 on quality. 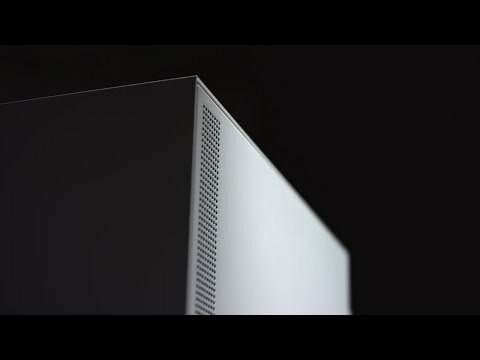 Finally, incase you are wondering, the power button LED is white.